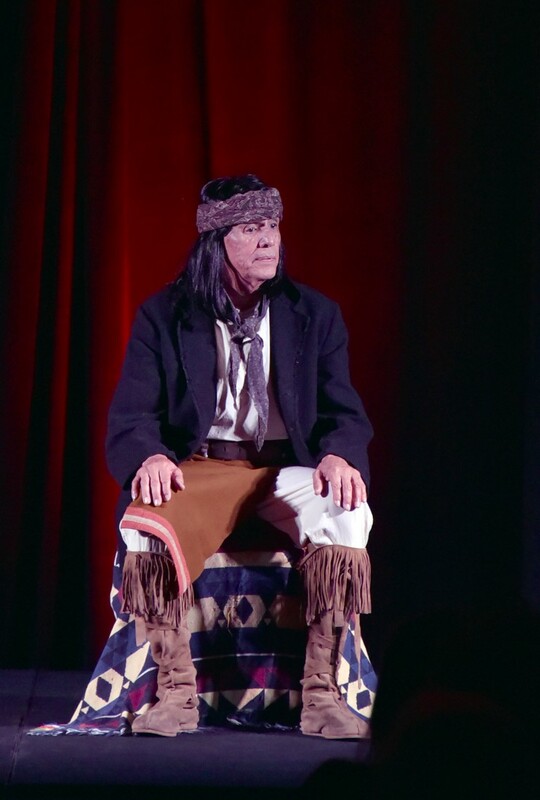 Veteran actor/producer Rudy Ramos shares with us his reasons for giving life to the Apache leader Geronimo who has been portrayed as a savage in the court of public opinion; that ‘savage’ image of the man that is often reflected in literature, film, and TV. 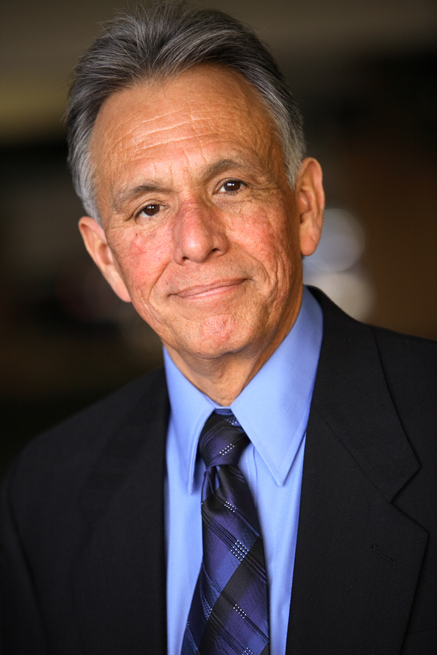 The more Rudy Ramos looked into the life of the man and the warrior - - Geronimo’s humanity took center stage. In this play, we witness his resiliency, humor and genius as he cleverly evolves from a POW into a celebrity and entrepreneur. The well-received solo show GERONIMO Life on the Reservation written by Janelle Meraz Hooper, directed by award-winning actor/director Steve Railsback, has toured the U.S. and now enjoys encore performances through February 20th at the Whitefire Theatre in Sherman Oaks. What was the genesis of your solo show GERONIMO Life on the Reservation? What attracted to you the real-life character of GERONIMO? I was born and raised in Lawton/Ft. Sill, Oklahoma. Geronimo spent the last 15 years of his life there. He was a boyhood hero of mine. But the idea for a solo show came to me from my friend singer/songwriter Michael Martin Murphy (Wildfire, Geronimo's Cadillac). 30 years ago, after a concert in Ventura, Calif., we were talking and the subject of Geronimo came up. I must have sparked something because he suggested to me that I write a solo show about Geronimo and that I should play him! The idea lay dormant for several years. In 2011, Janelle Meraz Hooper began writing a play based on the idea. The first script was two acts and too long. However, I did see the core of the story that I wanted to tell. I ask her if I could edit it and she gave me her total support. It took me over six months. The first public reading was in Tucson Arizona in 2013. The first public performance, directed by Steve Railsback, was at the Casino Del Sol in Tucson Arizona in 2014. Since then I have traveled from California to Tennessee performing GERONIMO Life on the Reservation. What was it about Geronimo that made him a hero in your eyes? Geronimo was fighting for his family, his people and his land. He was hunted by two nations for ten years. As a young boy, I heard many stories of Geronimo’s many battles against and many escapes from the American and Mexican armies - - -all of this for ten years with a very small band of men. He was a great leader and his cause was an honorable one. How did you and Janelle Meraz Hooper come to work together? Janelle is my second cousin and an author of books and stories set in the American West. When I was looking for a writer, she asked for a shot at writing the play. Although she did not write a book specifically about Geronimo, she has mentioned him in several of her books. Tell us a bit about the solo piece. The story is about the last 23 years of Geronimo’s life when he was a P.O.W. in his own country. I wanted to tell his side of the story. In the play, you will hear how he felt about being pushed out of his home, the many broken promises by the U.S Army, and the heartbreak he felt when the Mexican Army killed his mother, wife and three children, historical facts not known by many. I wanted to give him the voice he never had, the voice he deserves, the voice that has never been heard. He was a great leader. After digging into the heart and mind of Geronimo, what was it about Geronimo the man that surprised you? There are many things that surprised me. Did you know that Geronimo was never a Chief but was followed by many, that he had been wounded over 50 times and that he was an expert horseman as well as a medicine man? He was truly a formidable human being. He was motivated by his passion for his family, his people, his land and home. You are not a Native American. What compelled you to tell the story of Geronimo? To my knowledge, no one in the history of American theatre has ever played/portrayed Geronimo at this period of his life. It is a sad chapter in American history, a fascinating story and one I think needs to be told and heard. What has portraying the character of Geronimo taught you or enlightened you about yourself? I have found that I share the same passion for my family, my home, my work and many other things. I also share Geronimo’s anger against injustice. You are producing as well as performing GERONIMO Life on the Reservation. Why do you feel compelled to have people see this solo piece? Geronimo tells the story of a wrong committed against a whole race of people that America would like to forget, and it is still something that is still happening. The play is a wonderful educational tool and history lesson. I wanted to tell Geronimo’s side of the story as to what and why things happened. Is there anything else you want us to know about the play or the historical figure of Geronimo? I would like people to see the play and make up their own minds. Do they believe our history books, that he was savage beast? Or was he a man with compassion for his family and his people? GERONIMO Life on the Reservation runs Saturday evenings at 8:00 PM through February 20. General Admission: $20. Student/Senior/Group rates available. Buytickets: geronimo.brownpapertickets.com. The Whitefire Theatre is located at 13500 Ventura Blvd., Sherman Oaks 91423. For information please contact 805-657-8117 or visit: http://www.geronimolifeonthereservation.com.